RPA 127: Critical Vote Tuesday on Anti-Blight Program; Chevron's "contributons"
that those who tell us we cannot win against a powerful oppressor serve that oppressor. Richmond residents ares proud of our actions to oppose apartheid. There will be national media coverage. We must show that the Council has overwhelming support in the city. Please come for the rally at 5pm in front of the City Council and plan on staying until 8 pm. Refreshments and signs will be provided. 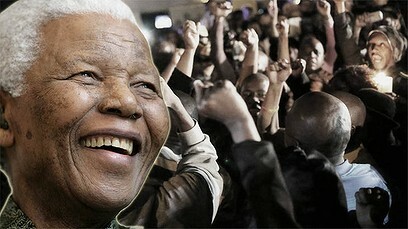 Sign up to speak. Realtor's Association mailing. They are giving good realtors a bad name. If you take a look at the most recent realtors' mailing attacking the CARES program you will see that it contains only one "fact" which is highlighted in yellow. This "fact" is the basis of their whole scare campaign. But, since the realtors know it is actually untrue, they are quoting it from Nat Bates. Why would Bates spread a lie? Either he is so anxious to bring the CARES program down that he spreads anything damaging without regards to its truth. Or perhaps he just doesn't know better. The CARES program would cover all city costs plus some for other housing programs. Using the most conservative figures, the first two hundred families that are kept in their homes by the CARES program will save the residents and the city more than $20 million. Compare that to the $1 million cost, spread over 15 years, of Bates-Bank Bullying. There is a good chance that, by encouraging buyers to avoid Richmond bonds, the banks are engaging in illegal "redlining." Finally, Bates is"blaming the victim". According to financial professionals, the financial basis for the bonds remains rock solid. The cause of the loss is NOT the CARES program, but is the result of the "noise" that the banks and realtors made with their lawsuits (that were dismissed). The situation is similar to a bully who threatens to hurt you if you speak up, then tries to hurt you when you do speak up, and THEN says that the scratches are your fault. The Richmond CARES program is is a new approach. The idea is to fight blight and keep our communities stable by keeping people in their homes. By preventing foreclosures through restructuring mortgages in line with their present value rather than the inflated values of the bubble, we help all the homeowners in the community. With the realtors and Bates/Booze trying to sow confusion there are bound to be questions. This weekend there will be people at the Bobby Bowens Progressive Center who can give you the latest information on the program. Stop by for a cup of coffee, pick up some literature, and chat. At the Council meeting (11/26) Jim Rogers presented a proclamation thanking Chevron for its generous contributions. The Chevron property was assessed at only $94 million dollars for 41.6 million square feet of prime coastal real estate. If the assessment were at even half the average rate of residential property, their assessment would be $600 million or greater. Net additions and improvements of only $1.2 billion over 35 years. Chevron must have spent more than this in the last 35 years. Prop 13 allowed a 2% annual assessment increase. This number should have been around $1 billion higher. If you look at the 1978 assessment values and increase them by 2% for 35 years, you would have doubled the original assessment. If the average additions and improvements were made 18 years ago, those assessments should have gone up 50%. The total comes out to $1.8 billion, not $800 million. Instead of thanking Chevron for their "contributions", the county should be stopping its gift of $10 million to $17 million per year in reduced taxes. There was no need to give them this deal. We could have taken Chevron to Superior Court and won. Instead, we are getting $3 million per year, for a total of $15 million over a five year period through Chevron's Community Revitalization Initiative. While I realize that Prop 13 takes some blame in this, corporations should have never been allowed to take the advantages that residential property owners receive. Corporations have big pockets and essentially pay way less in taxes than the average homeowner. I am also disturbed by this "contribution" because it makes non-profits and schools beholden to Chevron. They cannot do or say anything that goes against Chevron, even if Chevron behaves irresponsibly. These donations embody a political ideology that is contrary to representative democracy. When corporations pay their taxes, the citizens can, through their representatives, decide how that money is used. When a corporation diverts money from a tax base to private donations, they and not the citizenry, can inform the curriculum and have a stronger voice in the schools than the citizens. This is fundamentally contrary to representative democracy. "I beg the Lord to grant us more politicians who are genuinely disturbed by the state of society, the people, the lives of the poor." After one too many sell-outs by the local Democratic Party, the Lorain County central labor council decided to draw "a line in the sand" and run their own city council candidates on an Independent Labor Party ticket. 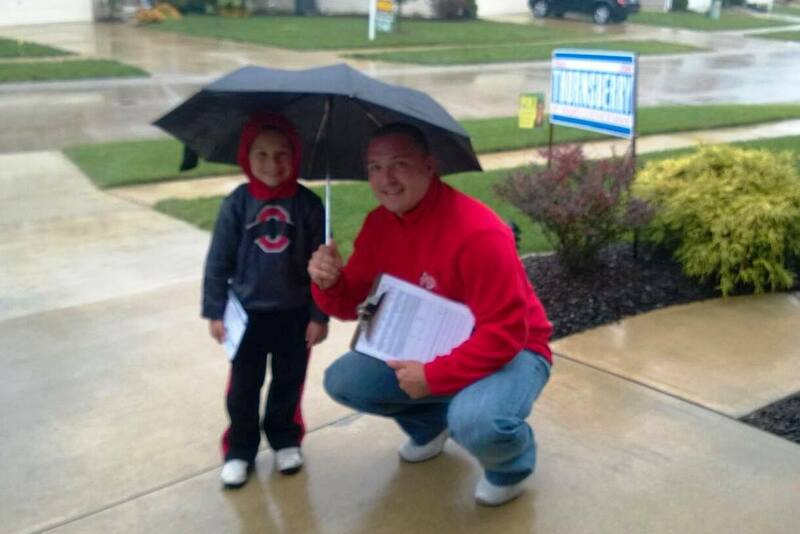 Two dozen won seats-including union teacher Joshua Thornsberry, shown canvassing with his young son, who beat the head of the local Chamber of Commerce. Union-dense Lorain County, Ohio, is now home to an independent labor slate of two dozen newly elected city councilors-recruited and run by the central labor council there. All labor's candidates had strong showings last month, and all but two were elected.